Lindau Nobel Laureate Meetings are meant to bring some of the most brilliant minds in science together. Since 1951, Nobel Prize winners and students in chemistry, physics, and physiology or medicine have met annually in Lindau, Germany. Formal lectures are held and students meet informally with the Nobel Laureate scientists as well as with their fellow students from around the world. Sarker and around 600 young researchers had the opportunity to join 37 Noble Laureates for discussions about science, academia, and life. Her daily routine consisted of 8 morning lectures from the Laureates. Then, after lunch they were able to attend discussions with a Laureate of their choice. Every night they had the chance to have dinner with the Laureates where both professional and relaxed conversations were exchanged. “I was very appreciative of the time I spent with the Nobel Laureates, but I also gained knowledge from my fellow researchers who were very inspiring to talk with.” Sarker explained. She was happy to see how extremely passionate each Nobel Laureate was about their research and still could imagine the sparkle in their eye when they started talking about their new research they were pursing. “The Laureates’ passion was very infectious, and it made me ready to dive back into my own work at Purdue,” said Sarker. Sarker has many memories to take from her Lindau Nobel Laureate Meeting, but one that sticks out to her the most comes from Olivia Smithies, winner of the Nobel Prize in Physiology/Medicine for discovery of homologous recombination of DNA in 2007. Smithies left Sarker with a few words of advice, “Keep a meticulous lab notebook, read broadly, and read a lot.” Sarker has heard this advice time and time again but after experiencing and being a part of the Lindau Nobel Laureate Meeting of 2014, she is taking this advice to heart knowing it will help her succeed. 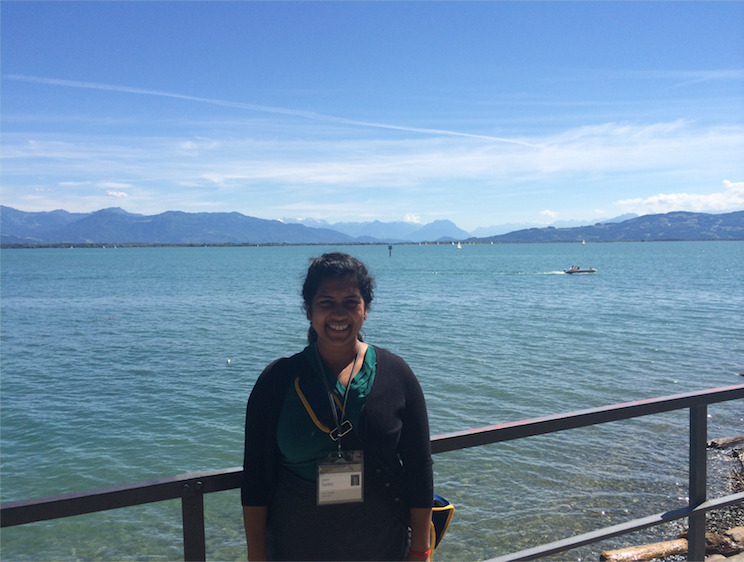 Top right: Joyatee Sarker at Lindau Harbor. 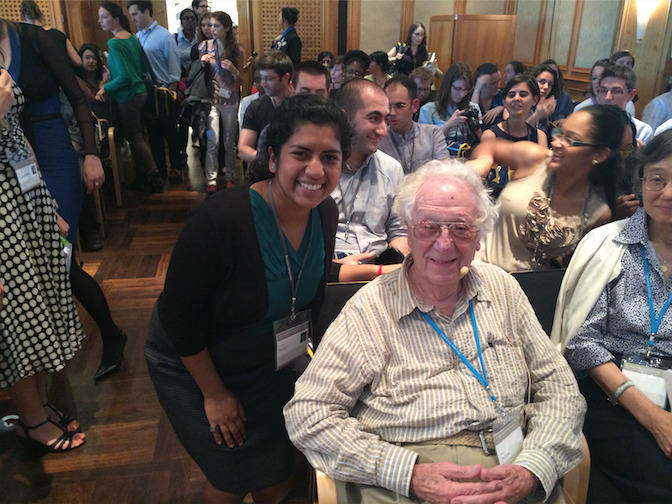 Bottom right: Joyatee Sarker with Nobel Laureate Oliver Smithies.